Doha/Qatar, 11 Feb: The program was inaugurated by Indian Ambassador to Qatar - P Kumaran, who addressed the gathering and informed that this event was organized as a part of ‘Qatar-India Year of Culture-2019’ under the patronage of Indian Embassy, Qatar and several other series of events have been planned throughout the year. 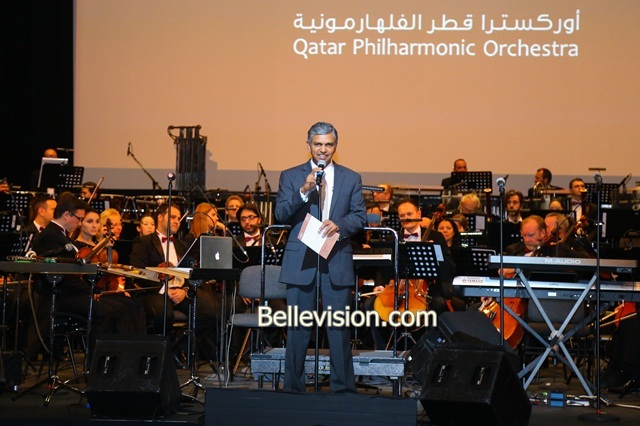 Indian Embassy of Qatar organized a Musical concert by Pandit Naveen Kumar and Qatar Philaharmonic Orchestra at Al Mayassa Hall, Qatar National Convention Centre (QNCC) premises, here on Friday, February 8. 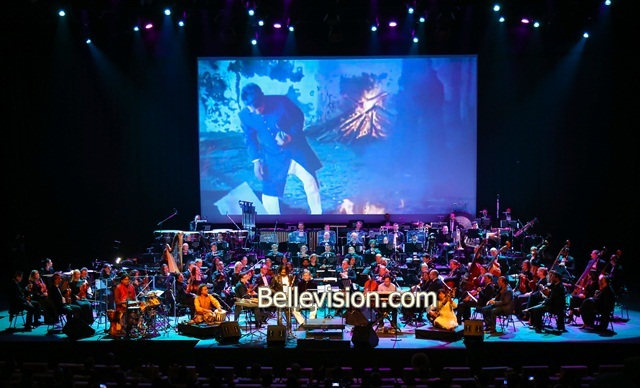 The concert lasted for more than 2 hours and saw a vibrant fusion of Indian, Arabic and Western music forms. More than 60 musicians and 2 singers adored the stage filled with a variety of musical instruments. The brilliant performances filled the ambience with scintillating music intoxicating the senses of audience. All were spell bound by the pure and virgin music amidst the acoustically designed concert hall. The entire program was coordinated by ICBF president Baburaj and team. THE APPEARANCE OF THE STAGE LOOKS VERY GOOD WITH A BIG GROUP OF MUSICIANS WELL ARRANGED TO GIVE A REAL LOOK OF A CONCERT. CONGRATULATIONS TO THE ORGANISERS AND TO THE MUSICIANS AS IT WOULD HAVE BEEN A REALLY DIFFICULT TASK TO COORDINATE AND SYNCHRONIZE.